Pitch Perfect 2 Rehearsal!. First photo of the cast reuniting for rehearsals. 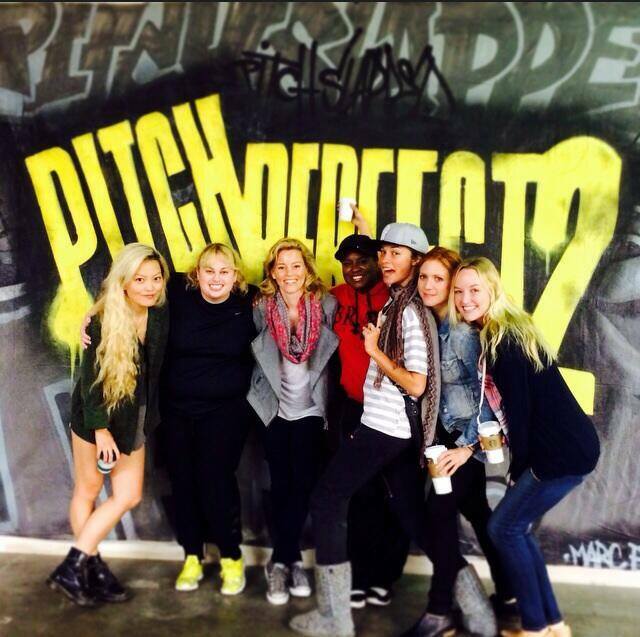 Wallpaper and background images in the Pitch Perfect club tagged: photo pitch perfect 2 rehearsal cast. This Pitch Perfect photo might contain sign, poster, text, chalkboard, and business suit.